This self-paced 14-hour online course meets the F.S. 468 14-hour Continuing Education requirement for Mold Related Services licensees (Mold Assessors and Mold Remediators). This course is also designed to meet the needs of other licensees, including practicing contractors and design professionals. Gold Coast makes it easy to renew your MRS- Mold Related Services License. If you have any questions, please contact our helpful Career Counselors at 1-800-732-9140. We are happy to assist. Applicable Florida statutes and rules (F.S. 468 and F.A.C. Rule 61-31). Mold report writing, documentation, use of applicable report forms (examples are provided), and the elements of a Mold Report. Mold characteristics, identification, nutrition, structure, and reproductive cycles. Mold sampling (i.e. aerosol, bulk), the steps to develop a sampling plan, use of proper collection equipment, developing a hypothesis, and interpreting the data. An introduction to limiting water induced damage to buildings, which includes key terms, information on moisture degradation, building serviceability issues, moisture sources, and control strategies. Psychrometric charts and instructions on how to use them. 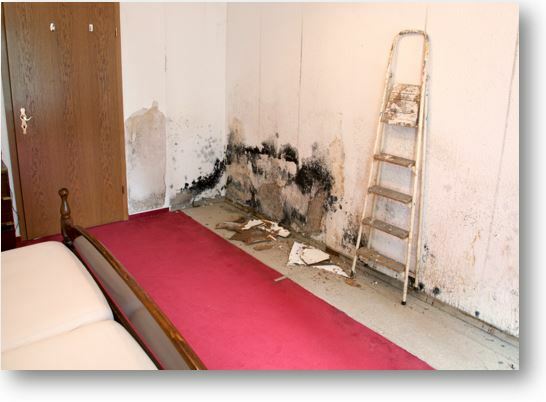 Understanding mold and moisture and how to control them inside of buildings. Once you have completed this course, you will have an encompassing understanding of the mold related services industry which will more fully equip you to better serve your clients.